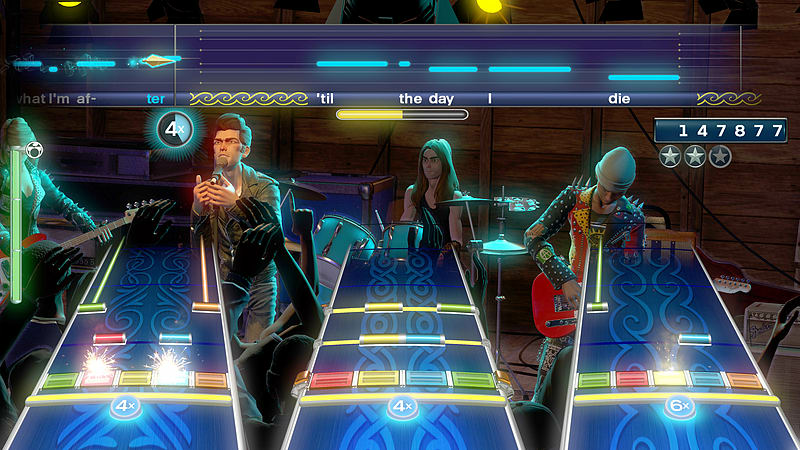 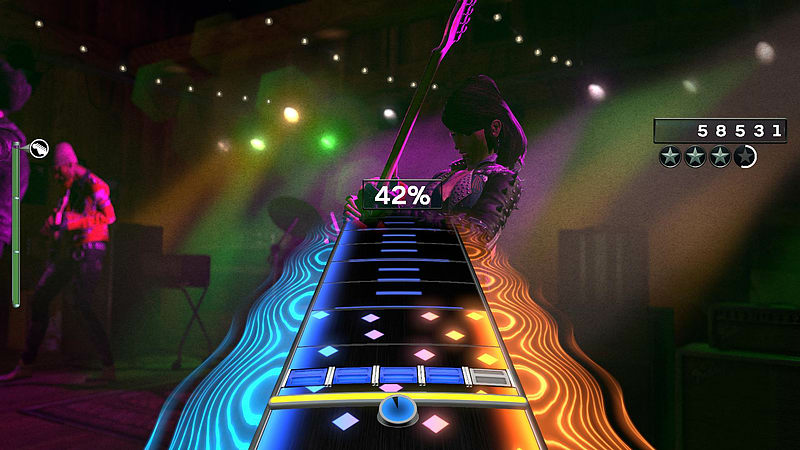 Rock Band’s award-winning gameplay takes the full band and solo-instrument experience to the next level, including innovative new features that empower players to express themselves in ways never before seen in the music category. 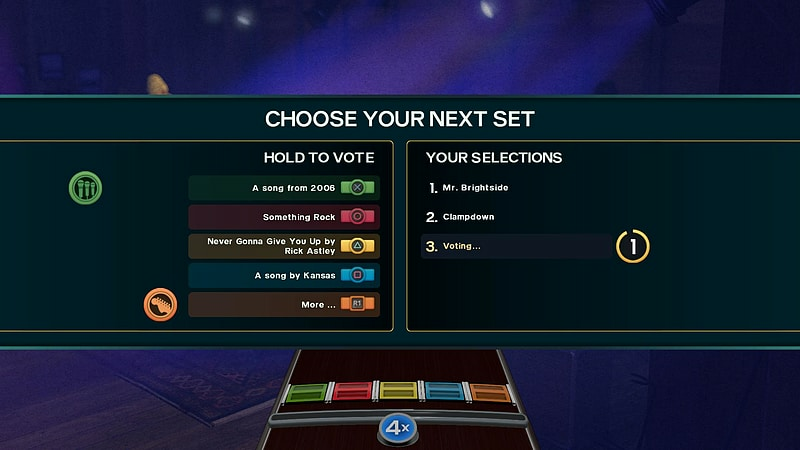 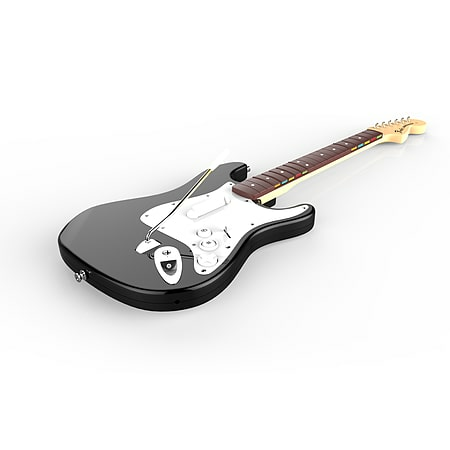 Freestyle Guitar Solos – Guitarists can bust out unique guitar solos of their own with the game’s new Freestyle Guitar Solos, no lessons or music expertise needed. 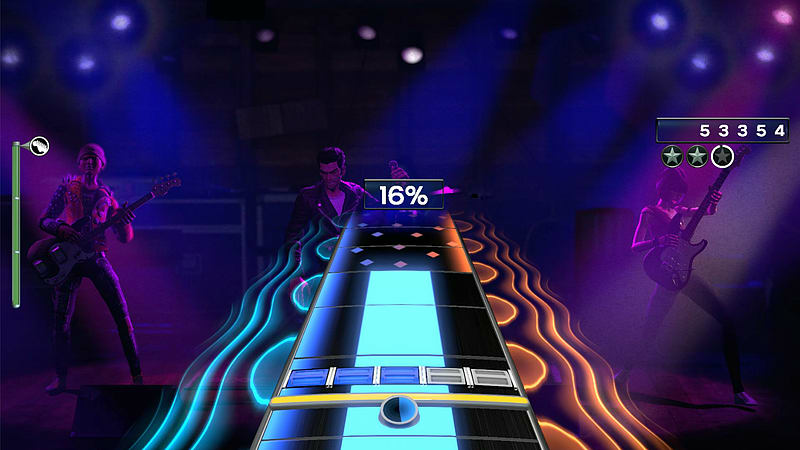 Accessible and fun right out of the gate, Freestyle Guitar Solos gameplay features remarkable depth, allowing expert players to string together face-melting licks and craft truly original legendary solos. 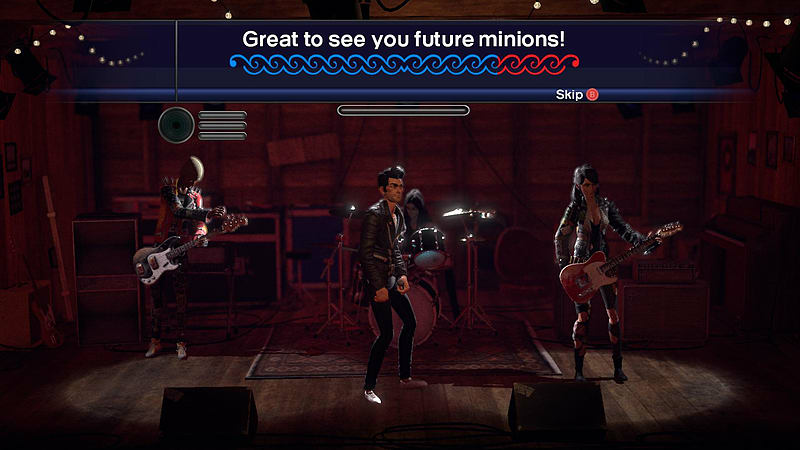 Sing for the Moment – Vocalists can sing it their way with advanced pitch recognition that rewards them for putting their own spin on their favorite songs. 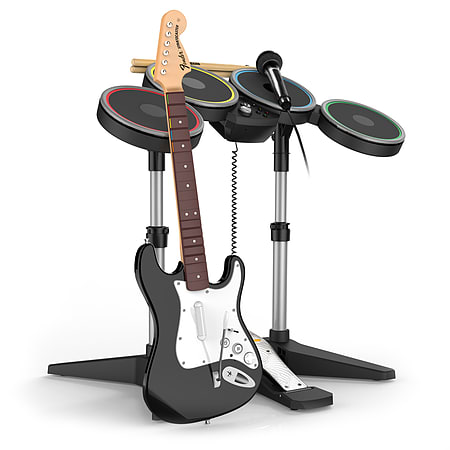 Improved Drum Fills – Drummers never miss a beat with latency free Dynamic Drum Fills designed to sound better than ever before. 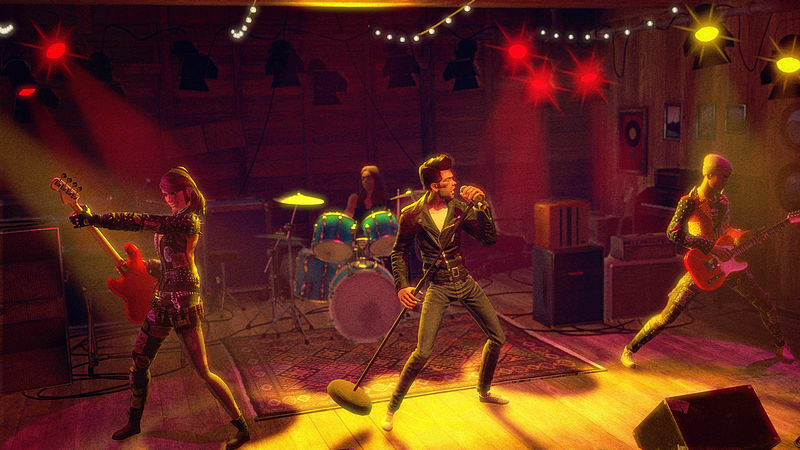 Work the Crowd – New Stage Presence gameplay allows players to work the crowd into a frenzy by flaunting their charisma and working together with their bandmates for in-game rewards and real-time audience reactions. 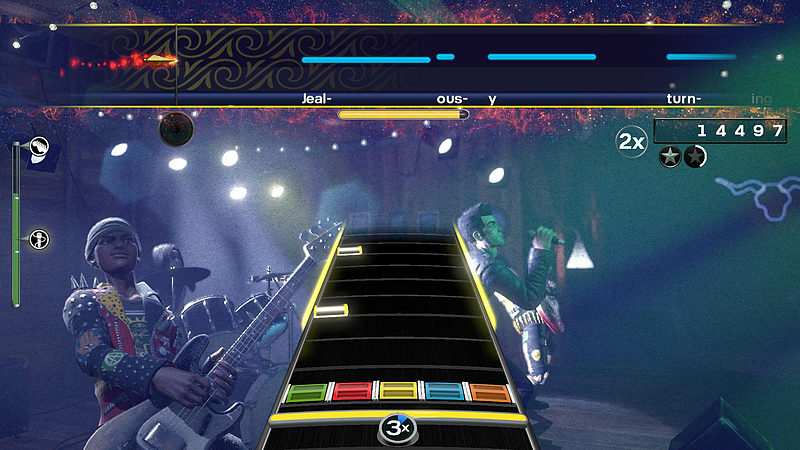 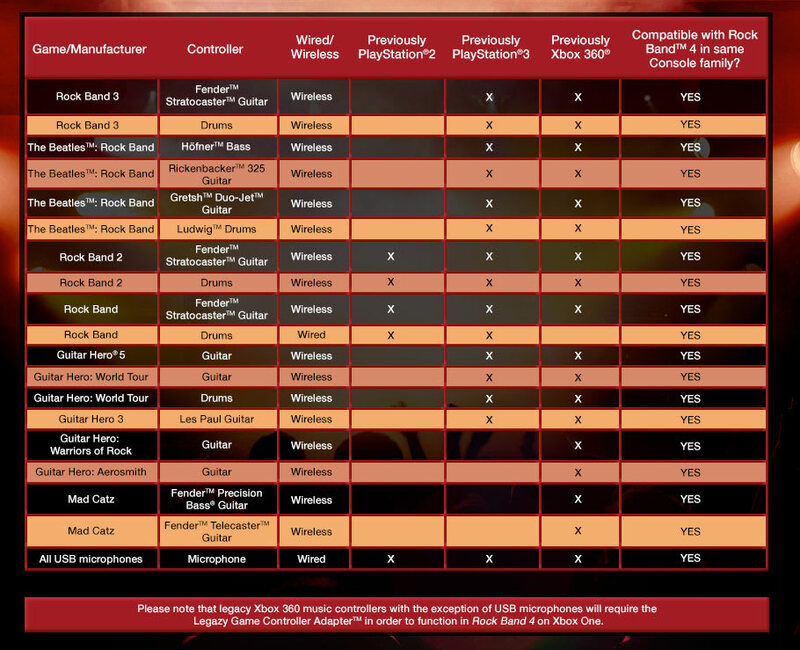 Full version of Rock Band 4 Game Software. 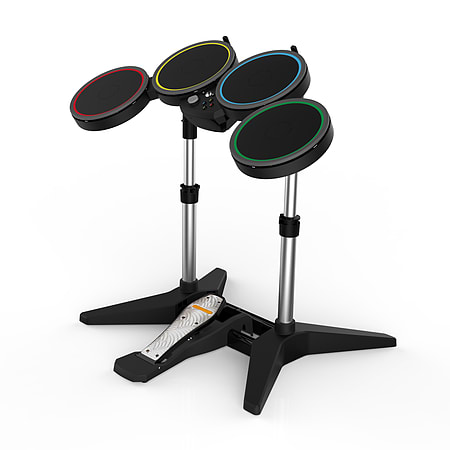 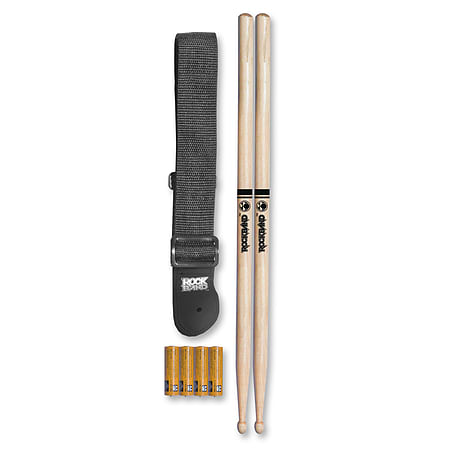 The Wireless Drum Controller – Designed for performance and durability, featuring a metal-plated kick pedal and velocity sensitive drum pads for endless play sessions. 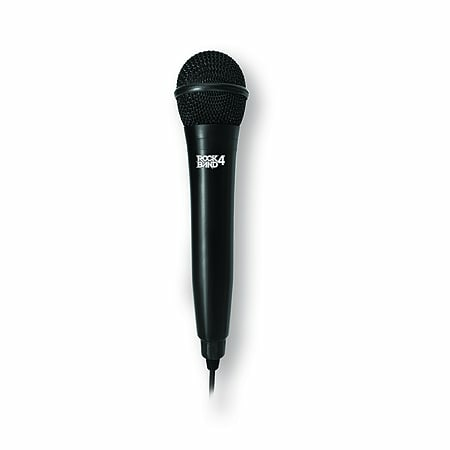 Improved USB Microphone – Completely redesigned with a new look and improved performance, featuring full 48 kHz quality audio, improved gain staging, and distortion prevention that allows singers to sound better than ever.